Francesco Paolo Ricci was born in Casoli (Chieti) on Oct. 1930. After graduating from the University of Rome “La Sapienza”, in 1955 he was appointed assistant professor at the Department of Physics of the same University. Shortly after, he was awarded a one year fellowship, which he spent at MIT under the supervision of the Nobel Laureate C.G. Shull. In 1958 he was appointed Research Scientist of the Italian National Committee for Nuclear Energy (CNEN) working at the EURATOM Centre of Ispra and contributing to the development of the first European reactor based three-axis spectrometer. While he was in Ispra he focussed his research efforts on the use of neutrons as a probe for structural studies of molecular liquids, producing some pioneering papers in the field. 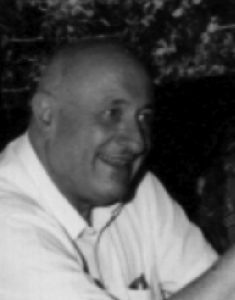 In 1961 Francesco Paolo Ricci returned to “La Sapienza” where he became full professor of Condensed Matter Physics in 1973. He has been actively engaged in promoting the foundation, in 1992, of the third University of Rome (“Roma Tre”) where he became the first Dean of the Faculty of Science. Francesco Paolo Ricci has promoted with outstanding efforts the development of neutron research in Italy also actively contributing to the establishment of international agreements between the Italian Research Council (CNR) and the European International Neutron Facilities, which have allowed the national community of researchers involved in neutron spectroscopy to flourish both numerically and scientifically over the years. The relevance of his contribution to neutron spectroscopy has also been confirmed by a number of International appointments.